Singing and playing instruments are a fantastic way to keep kids occupied during parties and events. They will be so entranced by the performer, mom and dad will have a chance to take a breather! We’ve featured some of the most talented musical entertainers who perform child-friendly tunes in New York. 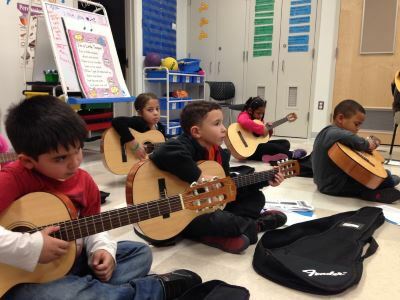 Scroll below to find out why music is a fantastic source of enrichment for children. With so many schools opting to discontinue their music programs, it’s important that children encounter music wherever the can. Consider having a music-themed birthday. There are many musical entertainers that specialize in children’s musical appreciation in New York. Find the perfect one for your child on KidsParties.Party.